Laser Tattoo Removal Toronto- How Soon Can You Have It After A Tattoo? Some people spend many hours searching for just the right piece of artwork for that special tattoo they have always dreamed of. Then for some reason almost the same day change their minds. 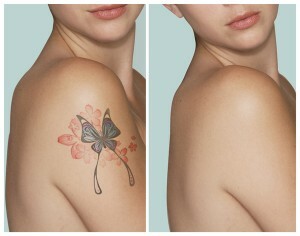 At Lasting Looks Clinic Laser Clinic we receive quite a few calls to remove a tattoo that is only a few days old. Disappointment? Regret? What ever the reason you want it off and you want it now! Your next question is probably how soon can I get this removed? Lasting Looks Clinic cannot perform a laser tattoo removal procedure on a patient until the tattoo has completely healed. This may take up to 6 weeks of healing. Performing tattoo removal any sooner would create scars and scar tissue. Most tattoos take five to twelve treatments for complete removal, so be aware that there is a time commitment involved in removing a tattoo. 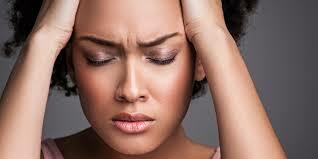 Most people who undergo laser tattoo removal are regretful of their tattoo. A majority of tattoos that are removed at Lasting Looks Clinic in Toronto are the removal of a name of an ex-partner, either after a divorce or break-up. A new partner may have an issue with the name of an ex-lover or partner tattooed on them. 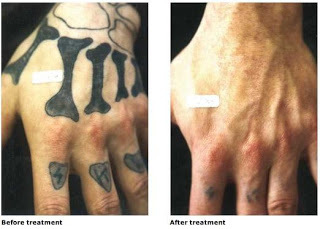 Another top reason for tattoo removal is a lifestyle change or a new job. Some companies will not allow for a tattoo to be visible. Another patient’s popular reason to remove their tattoo is because the artist may have done a poor job executing the tattoo and the person is not happy or satisfied with that. If you have any regrets about a tattoo and wish to consult and start the removal process visit us at www.lastinglooks.ca to book a consultation or call us direct at 416-234-2110. An allergic reaction is the bodies way of saying NO (I don’t like this stuff) and will literally push it out in the body by causing severe redness, swelling and bumpiness. Otherwise known as a foreign body reaction. Some colors are more commonly responsible for an allergic reaction especially reds. Some contain mercury in it and once disturbed can cause havoc. Being a Paramedical Tattooist, I have spent many years not only understanding how to remove a tattoo but also knowing how to put one in! The chemical makeup of tattoos is quite different than what it was say 20 years ago. Most tattoos back then were made up of iron oxides, minerals that are friendly to the body. For example we use iron oxide minerals in makeup and they wash off your hands quite easily. Iron oxides are friendly to the body and the body can easily absorbs this iron oxide pigments, hence the fading of a tattoo, especially in women. Iron Oxides ended up getting a bad rap after MRI Magnetic Resonance Imaging became popular since the iron in the tattoos were being picked up in the MRI. So up came the newer pigments that have removed iron oxides from the mix (calling them MRI safe) . These can be harder to remove because they are no longer larger particles like iron oxide but an ink which actually stain the skin thus making them more difficult to remove. So I ask that you be a little more patient these days with your Tattoo Removal Treatments and the removal of your tattoo.